I have waited about a week since I returned back the Fujitsu U810 to Alltp.com to write this review. And the reason is simple, I want to write a fair review. I have been fortunately enough to have reviewed the latest two Tablet PCs from Fujitsu, the P1610 and the T2010. These two Tablet PCs left a very good impression on me because of their build quality and performance. But the Fujitsu U810 was different. For the first time I was on front of a UMPC that I thought that I would like and it was all the contrary. But what were my issues with this machine? In two words: Performance and Design. The unit checked had a processor A110 running at 800 MHz with a graphic chipset 945, 1 Gb of RAM and Vista Installed. And this is the first disappointment, in my opinion, this processor is not good enough for Vista. While it has a chipset capable of handling Aero, the inclusion of these processors in UMPCs that use just 1Gb of RAM and super slow hard driver at 4800 RPM makes a hardware combination that results in a very poor Vista performance. And that's what I found in the U810, a very poor Vista Performance compared to my Q1 with a Celeron at 900 MHz and 2 Gb of RAM. The use of a A110 processor could have brought to the U810 one advantage: a better Battery Life than if Fujitsu has used a Pentium or Celeron on this unit. 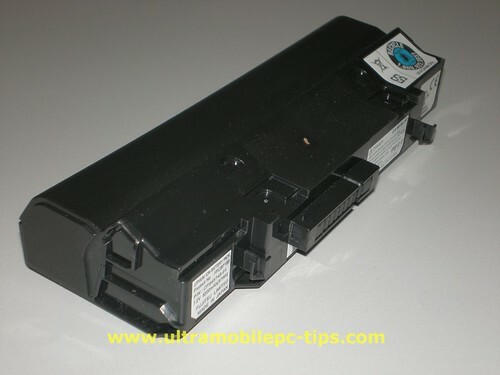 But here is a problem, to make this UMPC smaller Fujitsu used on it a Lithium ion; 4-cells, 7.2V, 5200mAh extended battery with a battery life of a little more than 4 hours. The same battery life that I'm getting in my Q1 using a hungry Celeron M at 900 MHz with a display technology less advanced than the one used in the Fujitsu. So, the only advantage on using a A110 processor in the Fujitsu U810 was gone in favor of trying to keep the unit smaller. If you try to buy the U810 today with its original 2 cell battery you wont find it anywhere because that battery has a battery life of around 2 hours. 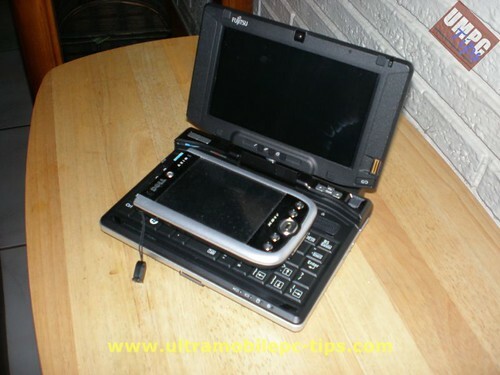 And that battery life was big time criticized in the first generation of UMPC. The battery life under Windows XP should be around 20 minutes more. And the performance a lot better. If your are planning to buy this device I would recommend to get one with XP. If the unit that I tested would have had XP, everything that I have wrote in this article so far won't have any sense. According to some news, Fujitsu is shipping a Windows XP CD in the units loaded with Vista Business. That will give you the chance to go back to XP if you find your experience as disappointed as mine was. I can post the numbers from my benchmarks tests in this point but I do not feel that those are needed. I'm sure that by now you have heard thousand times that Vista runs better in 2 Gb of RAM or greater so even with a better processor still the performance would not be that good. So... Get it with XP and you will have a really good experience -from the point of view of performance - with this machine. Lets start saying that when I opened the Fujitsu U810 box I was really surprised to see how small this device was. But with a little bit of research I found that in fact, the U810 is the biggest at the smallest UMPC available at this moment. This size makes impossible to fit the device in any jacket pocket. But what's a disadvantage for some could be an advantage, in that bigger body a keyboard could have easily became a touch type keyboard, one that could have been used with all the fingers. But that was not the case, Fujitsu lost this boat for just half of a inch. 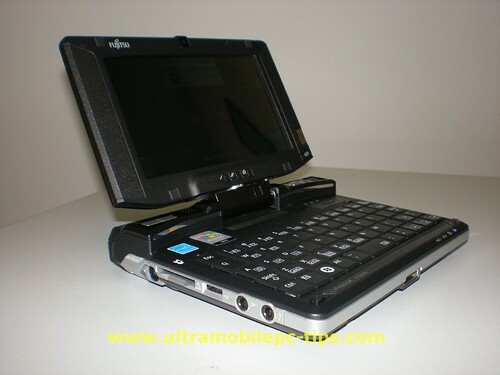 The above picture shows the Fujitsu U810 close to a Jornada 720, the smallest device where I have been able to use the keyboard efficiently with all my fingers. Now you can see why I said that Fujitsu missed this opportunity for just half of an inch. But I found another problem with the Fujitsu U810 Keyboard, the keys location. To put a keyboard in that reduced space, Fujitsu combined some of the keys functionalities. This has been done before many times and by many companies. But this is the first time that I have found the Tab Key paired to the Space Key. To use the Tab you have to hold the Function key down and then tap in the space key. If you are using the U810 filling a database you will find this uncomfortable. Another combination of keys that extremely bothered me was with the Arrows keys. The same thing, to use them you have to use the Fn key held down. Other than that, the keyboard was evidently designed for "Thumb typing". A guy like me used to "Touch Typing" will find the device hard to use. Younger generations that are used to "Thumb Type" text messages in their phones will find the device perfect. But to me, to have designed a device like a convertible to use it for "Thumb Typing" does not make too much sense and for that use I find the OQO 02 design better. The Sound on this device was poor and coming from just one speaker. The processor fan was a little bit noisy and the unit ran warm. The Samsung Q1 runs a lot cooler while the Amtek T700 runs a lot hotter. What I like from the Fujitsu U810? I liked the screen, it was brighter than the one in the oldest generation of UMPC. To have a SD card reader is a big plus too. The inclusion of a finger reader could be a very good security feature for some. 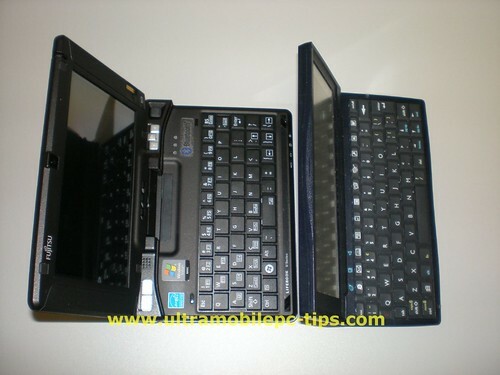 The fact that the device is a convertible that could be used in Tablet PC mode is something that in my opinion saves some of the inefficiencies in the keyboard. While The Fujitsu P1610 and the Fujitsu T2010 have a score in my ratings of 9 out of 10, the Fujitsu U810 gets a 7. This review was entirely written in a Q1 without using any keyboard.